Beijing Fullrich Shipping Int’l Logistics Co., Ltd was previously known as HK LS Shipping Co., Ltd Beijing Rep. with its head office in Hong Kong. 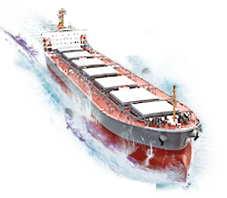 HK LS Shipping Co., Ltd. was established in Hong Kong in 1992 authorized by Ministry of Communication, which affiliated with COSCO (HK) Group. In the same year, several Reps were set up along the China seashore. In 1995, authorized by Ministry of Communication, HS LS Shipping Co., Ltd was renamed as HK Fullrich Shipping Line Co., Ltd, and every rep. followed the same. It also modified its information on the certification authorized by Ministry of Communications as No.0134 effective from July 14, 1995. With the persistent deepening of China Reform and Opening-up Policy, the national economy is keeping developing and flourishing. Especially after China joined WTO, as the frequent exchanging trading with other countries, the old small-scale industry can’t match up the high-speed economy, and also find it hard to provide all-round and satisfied service for the customers. Under this condition, we established Beijing Fullrich Shipping International Freight Forwarding Co., Ltd. Going by the increasing business, we enlarged our registered capital to RMB 6,000,000 and renamed as Beijing Fullrich Shipping International Co., Ltd. We are the first class freight forwarding company approved by the State Economic and Trade Commission. Up to now, we set up operation department, sales department, oversea department, customer service department, marketing department, trucking department, chartering department, accounting department and so on. In addition, we built up our own branches or Rep. in Tianjin, Qindao, Shanghai, Shenzhen, Rizhao, Yantai, Jinan, Dalian and so on. With many years’ striving in freight field, we set up our own management system. Guided by the principle of loyalty and customer first, we are always making our best to provide our best and considerate service for different kinds of customers home and abroad. Our Tenet: best service for customers, most benefit for company, best welfare for the staff. Our Notion: realistic, professional, innovative, faithful. Our spirit: staff’s progress relies on company, whose development replies on benefit, while benefit comes from good service, good service comes from staff. Our Motto: It takes RMB 100,000 to maintain a client, 10 seconds to lose a client, but 10 years to get him back. Justice refers to be upright attitude to deal with business, no matter to be flattered or insulted. Faith refers to be loyal to oneself, honest to others. Courage refers to be brave to face difficulties and take responsibilities. Considerate refers to be comprehensive to evaluate the possibilities for what unhappen. Passionate refers to be hospitality to the clients and positive to the work. Now we are staffed with a group of skilled and experienced personnel. For the more, we also employ excellent talents from some famous universities or colleges or social scope, who have strong will to develop freight business. All the staff takes regular examinations and training for the professional technique. With the spirit of persistent striving and enterprising, more and more clients join our cooperation, including long-term cooperating partner---Sinopec, China National Building Materials and Equipment, China State Constructions, China Salt, MCC, BEIJING Constructions and many other well-known companies. The customers also cover huge scope all over the country. Some International companies also nominated us as their exclusive agent, such as Stanley, Itchou, Danfoss and so on. Large net of oversea agents which spreads all over the world contributes to our fluent and speedy service. Due to our striving, scope, power and faith, we are proved to be excellent by most carriers; some of them are our long-term partner, such as COSCO/CSCL/SINOTRANS/CMA/WAIHAI/EVERGREEN/EMI/YM/SKR/ZIM and so on. We have our own warehouse and trucks in Tianjin, which absolutely benefits for our customers. Thanks to our customers’ supports and trust for many years, we are luckily acknowledged vastly in social area. In 2006, we were honored by Logistics Association China as the first annual member of HONEST AND RELIABLE COMPANY. In the same year, we passed the ISO2000 certification. In 2008, we got the honor of Global Credit Pass Service from Jctrans website which holds the biggest volume of trade in China. We are also long-term member of Beijing International Freight Forwarders Associations (BIFFA) and World Cargo Alliance (WCA). We sincerely hope that we would make cooperation together. We also would like to be your reliable and faithful friend for ever. Please be ensured, with our efforts and participation, you will embrace more success and achievement in your business. Copyright(C)2005-2006 BEIJING FULLRICH SHIPPING INT` L LOGISTICS CO.,LTD.